Just 2.1" thick, 24" ATI SunPower High Output T5 fixture provides optimal performance in a slim, contemporary design. Fan is quiet, and the fixture puts out a ton of par. Working great right now on my 29 gallon mixed tank with great growth (4x24”). First off BRS is the best! Customer service here is second to none! 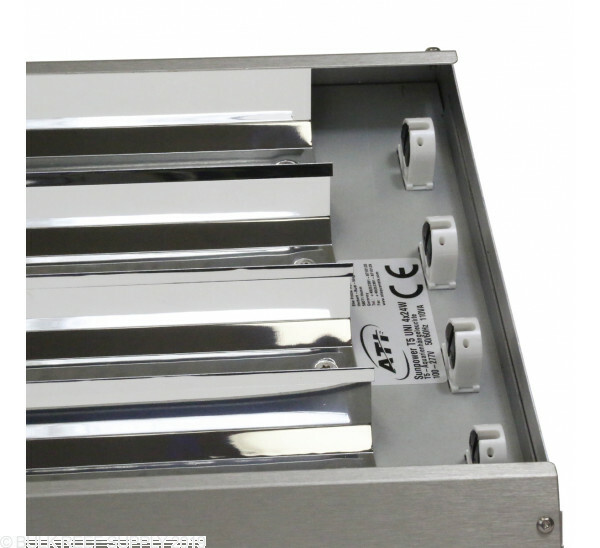 This fixture is very high quality, runs cool and quiet and has amazing output. I'm going back to T5s from LED and couldn't be happier with this unit. I am currently using the 6x24W fixture and it has been great. The fixture is constructed well and bulb sockets feel solid. The 6x24 unit has two fans that are relatively and do a good job pulling heat away from the fixture. The fans are run off of a separate universal ac/dc adapter that is included. The thing I was really impressed with was the hanging system that comes with the fixture. The ceiling mounts are very nice and easy to install. The fixture's Grip-Lock style mounts make leveling the light system easy as well. ATI bulbs are some of the best around so they complement the fixture well. 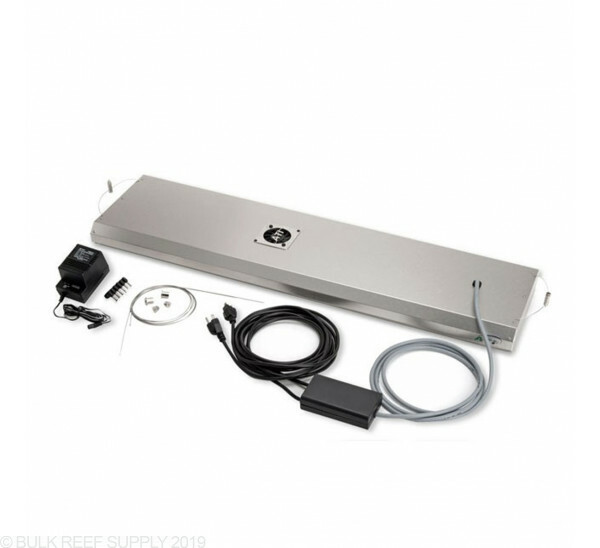 This is a great fixture for anyone wanting to run T5 lighting on their system. 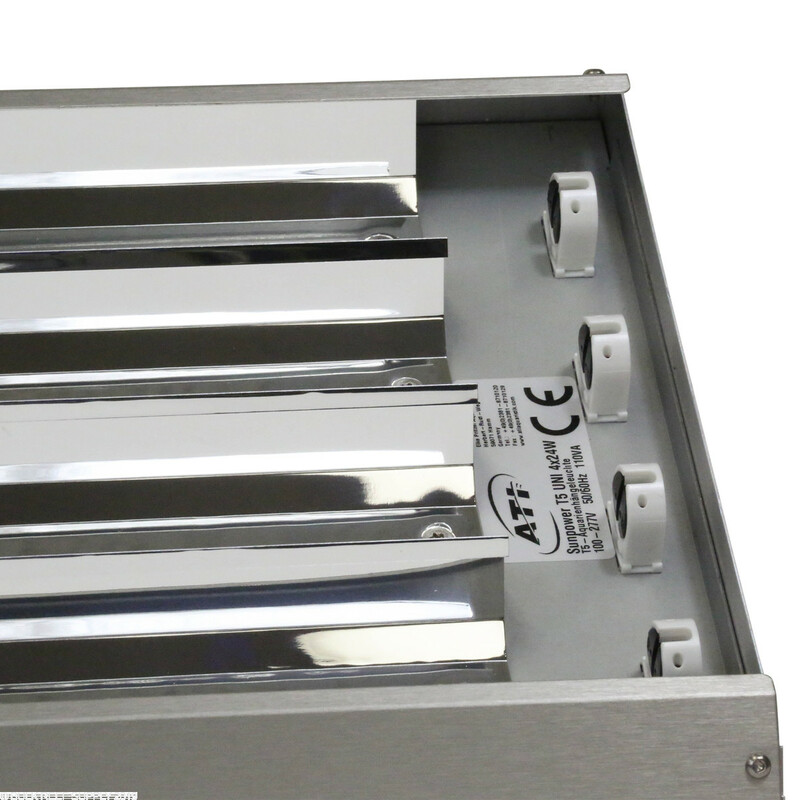 Would this fixture in 4 bulb version support sps 0n a 24 long by 18 high by 18 deep tank thanks!